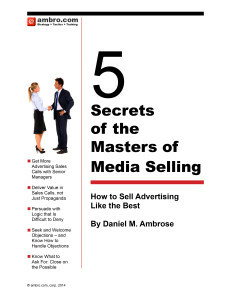 Ambro.com, corp. was founded in 1994 to provide management consulting to media companies. We focus on revenue generation, especially strategy, tactics, training and skills development for advertising sales. We can show you how an investment with ambro.com will be the highest ROI investment you make this year. We provide experience, analytical thinking and training that solves problems while creating success for our clients. Our philosophy includes a close working relationship with our clients, so their involvement in the planning and recommendations results in a better understanding of the strategy, which leads to greater results. We do more than provide prescriptions for our clients, we provide inspiration and care. We take the same “problem-solution” approach to helping our clients that we teach sales people to do with their advertising sales prospects. Every client is different, but we can apply best practices from one to another through customized curricula in how to sell print advertising, how to sell Internet advertising and especially how to sell integrated advertising packages— print + Internet + other media. Ambro.com, corp. offers clients a wealth of experience in a variety of areas all related to exploring, defining and developing new opportunities in media. We helped iVillage.com become a leader among Internet start-ups in 1995 and ‘96 with its innovative approach to advertising sales and trained its first sales force. Later we assisted iVillage in redefining its business strategy to create a “women’s network” strategy that lead to an IPO and more than a billion dollar market cap. ambro.com consulted on the first advertising sales forecasts for About.com, another IPO. Then we explored spinning off the company’s “software platform” as a separate business. With our help Medical Economics leveraged its hugely successful “Physicians’ Desk Reference” onto the Internet at PDR.net. We worked with MGM Home Entertainment Division developing the video advertising opportunity in home video rentals as a new advertising medium. We wrote the budget and revenue projections that launched Beliefnet.com to a $400,000,000 purchase by NewsCorp. We helped Kaboose grow from $300,000 in revenue to pass $30,000,000 in revenue in 3 years and be acquired by Disney. Our work spans relationships in consumer media, business-to-business media and children’s media. We’ve worked for large businesses like General Electric, one-person startups such as HireMinds.com (a one-person startup, now mediabistro.com) and companies as diverse as American Spectator and Mother Jones. Public Advertising Sales Training Seminars: We partner with MediaPost to produce and deliver the Masters of Media Selling seminars; two-day Seminars that cover a complete approach to getting appointments at any level, persuasion, and the interpersonal skills of probing, handling objections and closing. 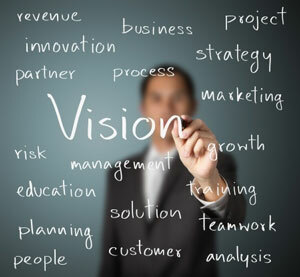 Business Planning: We write business plans, in collaboration with you. We help you articulate the business opportunity, market place changes you anticipate, and how your media solution will serve the market and generate profitable revenue.